Welcome to the Parish of Holt. River Severn from Holt Fleet Bridge. ​The Parish of Holt is situated about 7 miles north of Worcester adjacent to the river Severn in The Malvern Hills District Council area. The village of Holt Heath is the main residential part of the parish. The land around the village is of Grade 2 Agricultual quality,​ it rises slightly to the west, the Abberley Hills with its Clock Tower being the dominant feature about 5 miles away, to the East the land falls slightly. The River Severn forms the Northern boundary; the woodland bordering the river has a tree preservation order on it. Holt parish has an approximate population of 717 and 354 habitable properties. It is a mixed rural community with farming, fruit growing and market gardening on land around the village. There is also a small light industrial estate in converted farm buildings. centre of the village. Opposite the church is Holt Castle, ​itself being a Grade 1 Listed building. Elsewhere in the village and surronding area there are examples of farm buildings and cottages dating from the 17th century. There are several streams and brooks within the parish which form parts of the parish boundaries. Shrawley brook has two old Mills along its path, neither now working, one is Hollingshead Mill and the other is Holt Mill, this mill is probably the one mentioned in the Doomsday Book of 1086. 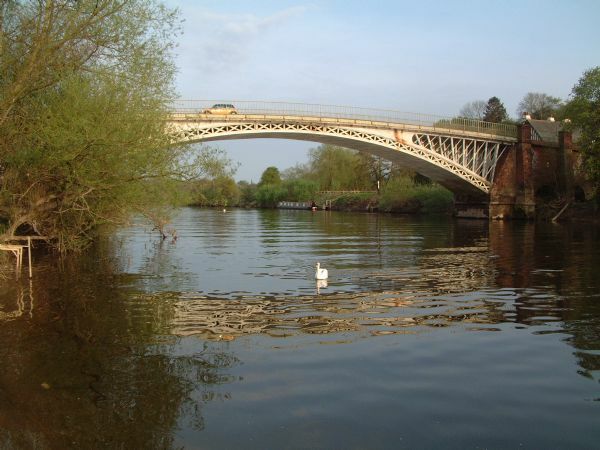 The A443 crosses the river at Holt Fleet, until 1826 the only way to cross was by ferry, in 1826 the foundation stone was laid for the bridge, it was opened in 1828, it one of seven bridges on the River Severn designed by Thomas Telford. Adjacent to the bridge is the Holt Fleet Inn, the original Inn was an old Coaching Inn and was opened around 1607.